The Ashland is packed with features. The welcoming foyer includes a large coat closet and opens into a spacious living room - the entrance to which is flanked by dramatic half walls and columns. The living room opens into the kitchen, which includes a large island with counter-top overhangs, perfect for a casual breakfast with the family. 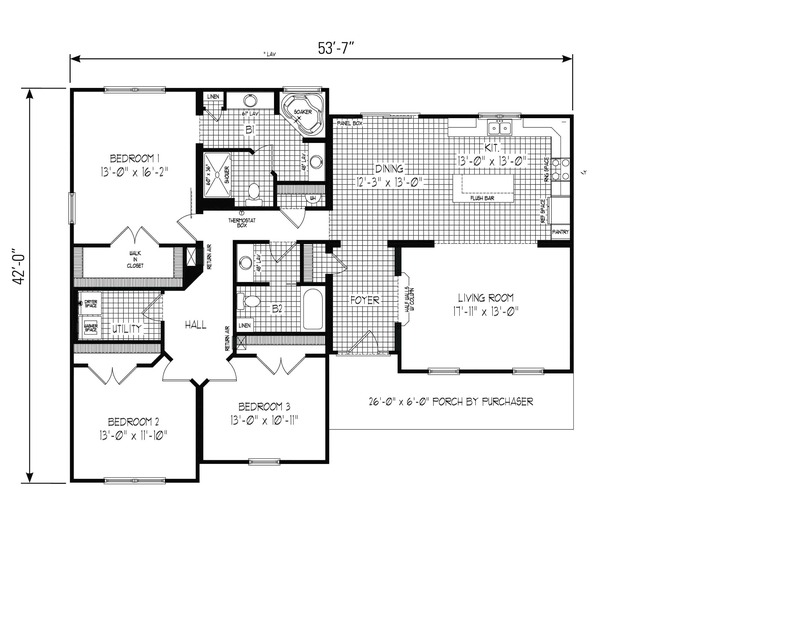 The master bedroom has an en suite bath and large walk-in closet. The master bath is spa-like with a large corner soaking tub, two separate vanity spaces, a linen closet and a privacy closet for the toilet and shower. This plan also comes with alternate designs for the master bath, variations for the kitchen and option to include basement stairs. 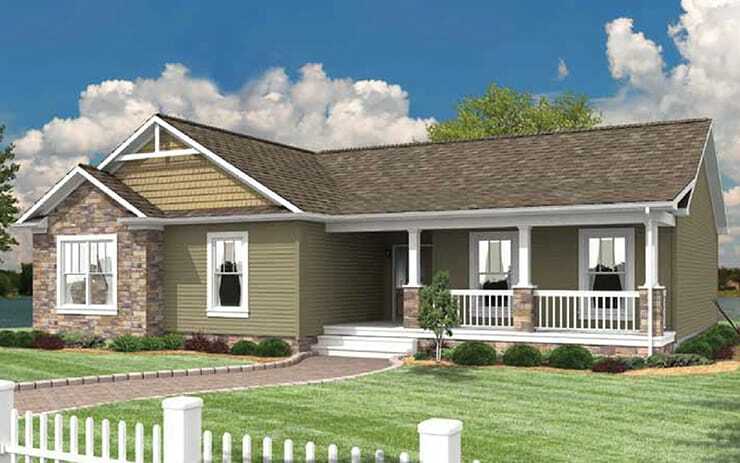 The elevation shows a 26-foot x 6-foot porch which is to be built on-site by your builder, or you can opt to include the porch roof in your modular home package. Have questions about the Ashland? Get in touch with the experts at River Valley Builders about customizing this floorplan to fit your needs and lifestyle.